In today's world, where international communication involves the interchange of a vast range of documents, the services of professional experts such as translators are often essential. Whenever documents have to be translated, the services of qualified translators with guaranteed expertise and experience should be employed. Members of the Federation of Authorised Translators (FAT) have all passed an extremely demanding examination set by the Swedish Legal, Financial and Administrative Services Agency (Kammarkollegiet). This examination consists of three parts: a general, a legal and a financial text. Candidates who pass the examination become authorised translators (auktoriserad translator); authorisation must be renewed every five years. The title auktoriserad translator is protected by law and is only awarded to individual people, never to companies or other legal entities. Authorised translators are sworn to professional secrecy, are authorised to translate legal documents and to certify these by affixing their respective official translator's stamp. Authorised translators are subject to statutory rules on secrecy. Only authorised translators are entitled to use the official stamp and seal, which includes the Legal, Financial and Administrative Services Agency's symbol and the text "Av kammarkollegiet auktoriserad translator" (see page 1), and the translator's authorisation series number. In addition to their excellent command of foreign languages, many translators are also qualified professionals in areas such as teaching, law, business, engineering, architecture etc. 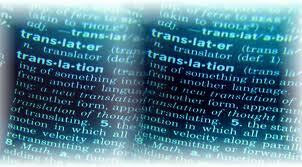 Consequently, customers who need reliable and high-quality translations should always insist on the services of authorised translators. 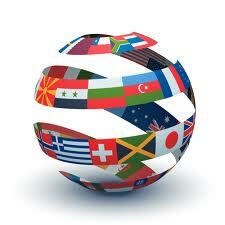 Direct contact with an authorised translator reduces costs for customers and guarantees best quality. The easy-to-follow instructions below should facilitate collaboration between the customer and translator and also ensure a high quality final product. FAT's membership register currently (April 2008) includes authorised translators in over 30 languages; the register, which is updated regularly, is also available on our websitewww.aukttranslator.se. FAT's board is also able to provide additional information about the members of the association. When legal documents, certificates etc. are to be translated, they should be forwarded to the translator as certified copies. If the translated text is to be used outside Sweden, the translator should staple the original certified documents to the translated text and affix the official translator's stamp or seal to the set of documents. Always inform the translator which language the text is to be translated into and the country where the translated text will be used; there are often considerable differences between geographical areas where the same language is used: US English, for example, differs in many respects from British, South African or Australian English; the Portuguese language of Brazil or Mozambique has distinctive features not found in the Portuguese of Portugal itself. Translators should only accept commissions within their field of competence. Consequently translators must be informed of the subject matter of the text in advance so that they can decide whether they are able to accept it for translation. Translators must know whether the text for translation includes tables, diagrams, illustrations etc., even if these do not require translation. It is therefore advisable to send the entire document to the translator in the first instance in order to avoid unnecessary misunderstandings and waste of time. 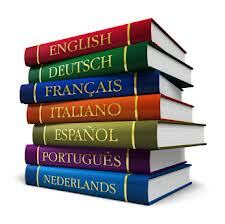 Always inform the translator of any technical, graphic or other requirements in the text to be translated. 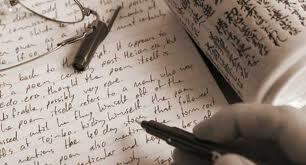 Whenever possible, send the translator the entire text straight away. 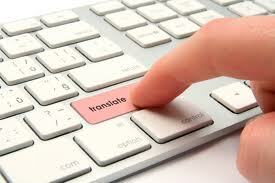 This enables the translator to gain a general overview of its contents and to prepare for the translation. Always inform translators about any specific terminology used in the text, previous translations (including translation into other languages) or any other details which could assist them in their task. Translators may need to be given some general background information about the text to be translated, or details of any related literature and reference material available. If the customer is a government agency or company, the translator must be given details of a contact person who is familiar with the subject and terminology of the text to be translated. Accepting a document for translation at very short notice may increase costs, as the translation may have to be done outside office hours. Plan the commission sufficiently well in advance – preferably in contact with the translator – in order to allow sufficient time for translation. Proofreading (first proof) should always be carried out by the translator. If the customer wishes to make any changes in the finished translation, these must be carried out in consultation with the translator. Translators' texts are often protected by copyright. Before translation begins, reach an agreement with the translator as to when and how the original (source) text will be delivered to the translator and the translation returned to the customer. Note that changes in terms of delivery often affect the date of delivery and the cost of the translation. Constructive, professional communication between the customer and the translator makes for high quality translation, lower costs and provides opportunities for good future collaboration.